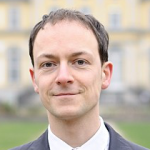 Jan Fichtner is postdoctoral researcher in the CORPNET project at the University of Amsterdam. He holds a Dr. phil. from the Institute for Political Science at Goethe-University Frankfurt (Germany). His research interests lie in the interdisciplinary field of International Political Economy, particularly Global Finance (index funds, concentration of corporate ownership and control, structural power, financialization, hedge funds, offshore financial centers). In the CORPNET group Jan focuses on the subproject of the re-concentration of corporate ownership through the rise of very large passive asset managers, such as BlackRock and Vanguard – and their impact on global corporate governance. He is also involved in the subproject on multinational corporations, tax avoidance, and offshore financial centers. The CORPNET working paper The New Permanent Universal Owners: Index Funds, (Im)patient Capital, and the Claim of Long-termism has been featured by Institutional Investor “Research: Asset Management Giants Don’t Walk the Walk On Long-Termism“. Our CORPNET paper Hidden Power of the Big Three? Passive Index Funds, Re-Concentration of Corporate Ownership, and New Financial Risk (published in Business and Politics) has been featured by Bloomberg “BlackRock Takes on Ivory Tower Over Stock-Ownership Research“, Bloomberg Markets Magazine “We’re in the Middle of a Revolution“, CNN “Shareholder activism is on the rise, but companies are fighting back“, The Economist “Stealth socialism“, the Financial Times “Index fund managers are too big for comfort“, the Financieele Dagblad “Warren Buffett betoont zich een ware indexbelegger“, the Frankfurter Allgemeine Zeitung (1) “Die unheimliche Macht der ETF-Fonds“, (2) “Wie Blackrock & Co Unternehmen beeinflussen“, Harvard Business Review “How Big a Problem Is It That a Few Shareholders Own Stock in So Many Competing Companies?” and by The Wall Street Journal (1) “Are Index Funds Eating the World?” and (2) “Meet the New Corporate Power Brokers: Passive Investors“. We have published a short version of the paper for the general public at TheConversation.com under the title These three firms own corporate America (over 113,000 readers by April 2019). The inaugural David P. Baron Award for the best article published in Business and Politics (BAP) in 2017 was awarded to our paper Hidden Power of the Big Three? Our CORPNET paper Uncovering Offshore Financial Centers: Conduits and Sinks in the Global Corporate Ownership Network (published in Scientific Reports) has been featured by Algemeen Dagblad “Nederland met stip op 1 in lijst belastingontwijking“, by Bloomberg “Is the U.K. Already the Kind of Tax Haven It Claims It Won’t Be?“, by Der Standard “Niederlande größter Finanzkanal für Steueroasen“, by Malta Today “Scientists have found a way of showing how Malta is a global top ten tax haven“, by Technology Review Germany “Über die Niederlande ins Paradies“, by The Guardian “Netherlands and UK are biggest channels for corporate tax avoidance“, and by Spiegel Online “Paradise Papers: Niederlande – das Steuerparadies nebenan“. We have published a short version of the paper for the general public at TheConversation.com under the title These five countries are conduits for the world’s biggest tax havens (over 78,000 readers by April 2019). This is a personal website. The owner retains responsibility for all material that is presented on this website. However, the owner is not responsible for the content and the reliability of other websites to which he provides links. You may access and download the material located on this website only for personal, non-commercial use. You may not reproduce this material on your personal website, or any other online resource. All rights: Jan Fichtner, 2014-2019.